This post is sponsored by SMART. All opinions are my own. 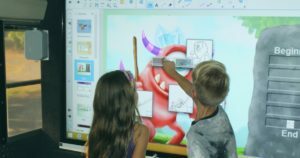 How are you using interactive whiteboards in your classroom? Traditionally, the use of these large interactive displays were seen as a way to energize whole class instruction. The use of a touch screen and the ability to access a wide range of materials through an Internet connection are definitely compelling features. But as we move to embrace best practices around student-centered and small group instruction, do these devices still play a role in the classrooms? As a classroom teacher, I remember interacting with a SMART Board for the very first time. Rolled into my classroom on wheels with a separate cart for a projector, it was a large delivery. It was also one I knew would have an impact on teaching and learning. 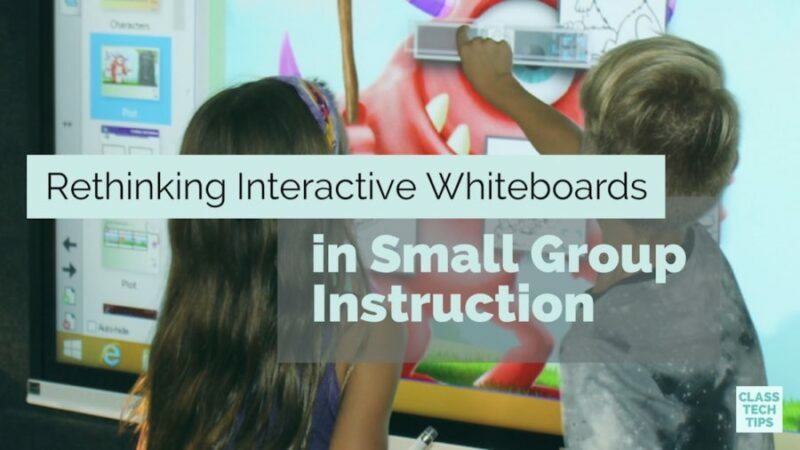 Reflecting on my use of a SMART Board as a classroom teacher, and thinking about the ways I currently work to support educators with large interactive displays in their classroom, I’ve been thinking about the power of interactive whiteboards for small group instruction. As we shift our thinking around best practices for supporting students away from whole-group instruction, we know that sit and get or listen and lecture styles of teaching has limited benefits. 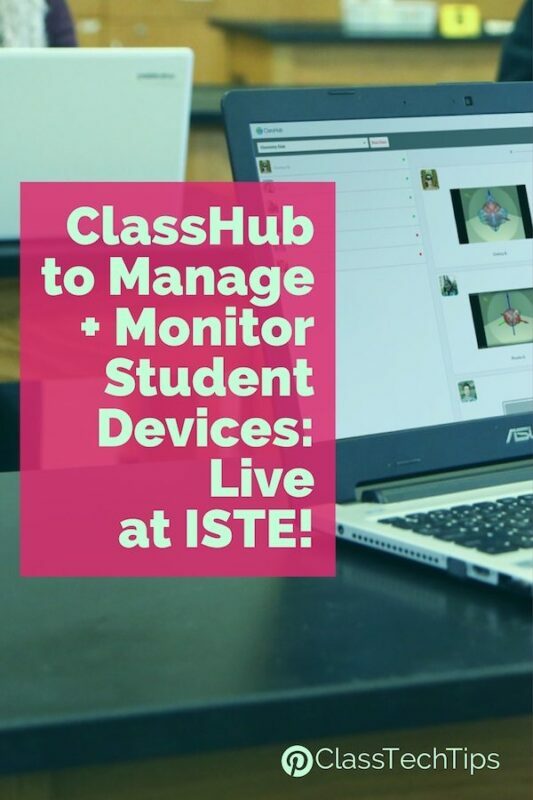 The “big screen” at the front of a classroom doesn’t have to be a space where thirty students are watching as a teacher moves items across a screen. Instead, it can be used as an anchor for small group instruction. When students spend time in discussions with their peers in small, collaborative groups, there is time to talk about their learning. They can practice the “soft skills” we often think of as isolated from core content. Students in a small group might meet with their teacher in front of an interactive display. This is not for a teacher-directed lesson but an opportunity to model their thinking collaboratively. For example, a teacher might pull up a word sort on an interactive screen. Then she can model for a small group of students. Then students can discuss together as they jump up and move words from one side of the screen to the next – talking about their decisions, explaining their thinking, and working collaboratively. Alternatively, students might zoom into a map of a place featured in a short passage they are reading in a guided reading group. They can move from one place to the next, draw on the screen, and discuss text-to-world connections in their group. As a new teacher, I entered a classroom with chalk and a chalkboard and an overhead projector. Too often the integration of new technology falls into the substitution category in the SAMR model from Dr. Ruben Puenteara. 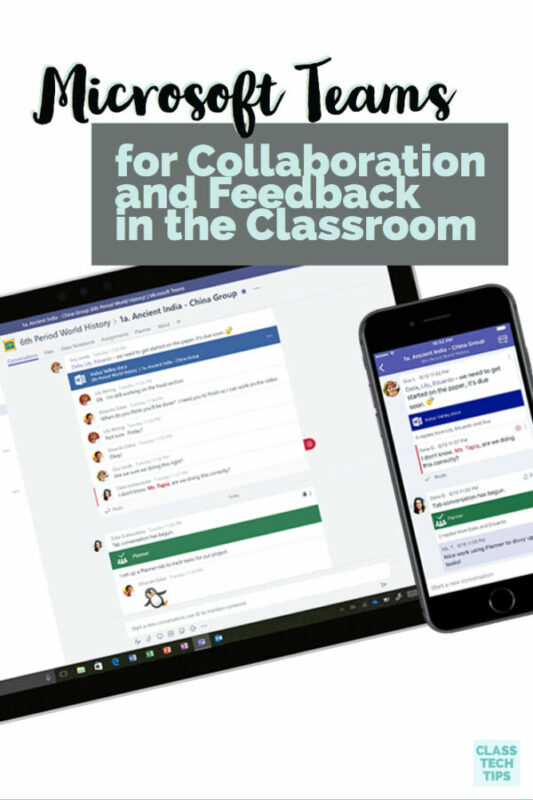 One of the reasons I wrote the book Tasks Before Apps is to help realign our conversations around technology integration to make sure we are using digital tools purposefully, and thoughtfully in the classroom. An interactive whiteboard doesn’t have to be a screen that shows off the same information you would write with chalk on a chalkboard. It becomes a space where students can model their thinking. They can access information and show off their thought process and final creations. In small groups, students can come together to show what they know. They can explore a new topic and talk about their learning together. How are you using interactive whiteboards in small group discussions? Share your favorite activities or success stories in the comments below! Learn more about what the folks at SMART are up to – click here to visit their website!